Thanks in part to Meryl Streep it’s a pretty open secret now that Margaret Thatcher had voice lessons to lower the pitch of her voice in order to up her gravitas level on the world stage. Rumour has it David Beckham has done similar as he looks to a future where increasingly he will be required to talk with his mouth rather than his feet. Certainly, it’s noticeable in recent footage that his voice appears to have taken on a more authoritative tone, but of course that could simply be maturity and experience breeding confidence. These two figures have iconic status and could be forgiven for not bothering too much about their vocal impact. People, in general, will be interested in what they have to say anyway, more likely they’ll be hanging on every word. However they haven’t gained that iconic status by accident. They both realize the value of taking care of their personal brand and a large part of that is how they sound. It’s easy to do positive exercises to interrupt patterns and improve tone variation. The obvious way to find out how you sound is to record yourself in different situations such as reading a newspaper article, rehearsing a presentation, and in conversation with others (perhaps at a meeting, and again with friends, and on the telephone). Then listen to the recordings and notice what works best for you. Also notice the pitfalls. Look out for times when you fall into vocal patterns that can send people to sleep. Presentations are particular danger areas for this especially if the lights are down low. It can have the soporific effect of being lulled to sleep on a train journey like the repetitive rhythm of the wheels on the track. Notice, also, where you place your voice. Our bodies are like big wifi speakers and our voices will sound different according to where the resonance comes from. A sound coming from the nasal cavities will sound very different from higher in the head or from the chest. Try shifting your voice around now from one place to the other and you’ll notice the striking contrast in effect. This can sometimes be easier if you touch the area you are focusing on. A chest voice will give you lower tones and a fuller more authoritative sound whereas a head voice can often seem lighter and more accessible. 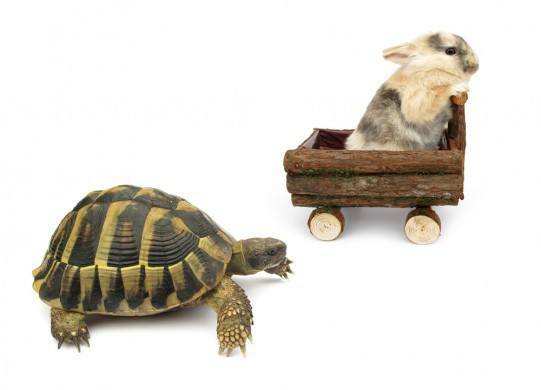 Are you a hare or a tortoise? Take note of the rate at which your words come out. Some accents lend themselves to speaking very fast (Glaswegian for example – think machine gun) and some tend to be slower (Yorkshire is a slow one – think cricket on a fine summer’s day). If you know you tend to speak slowly, choose to up the energy level occasionally and rattle out a few words from time to time. If you speak fast practice using pauses so that people can take in what you’re saying. Remember – it’s important to keep people awake and an easy way to do this is to vary your speed. Pauses aren’t just valuable for fast talkers. Learn the value of pausing for emphasis and for dramatic effect. Allow people to think and to answer your questions. If you keep filling the space with sound there is no room for other people to consider let alone speak out. This includes “Ums” and “Ers”. It’s amazing how they start to disappear when you focus positively on pausing. Do you have a special formal voice you adopt for telephone conversations and work meetings? In my experience teenage children are keen to point out any whiff of a telephone voice. This can stretch to the words you use as well. Would you use these words in normal parlance? Unless they are technical terms if the answer is no – ditch them.